Popular Types of Bluetooth Headsets in Saudi Arabia. Want to buy a perfect Bluetooth headset? But there is no perfect headset, it depends on the requirements of each person. The best tip on picking up the right Bluetooth headset for your requirements be to first recognize your needs. You may think it's a simple task. But if you figure out your daily phone call duration, your music or mobile video view time etc, you can choose the type of Bluetooth headset needed. Where Will I Be Using It? The Place or location will play a most crucial factor in choosing a Bluetooth headset. Calling while moving (eg: driving cars), Call or music in an office, listening to music while jogging etc needs different types of Bluetooth headsets. Features like noise cancellation, deep sleep mode, anti sweating etc are to be considered with the place we are using headphones. According to your needs, there are some popular models of Bluetooth earphones in Saudi Arabia. Check below for more details. This model is for those who need talk/call for hours. These one-sided headphones make audio call easy and mobility. Its sleek design makes easy to carry. Wireless Bluetooth earphones can be used to call while driving or any other task in which body movement is less. This one is for Music lovers. Its on-the-ear design drowns us to the world of music. 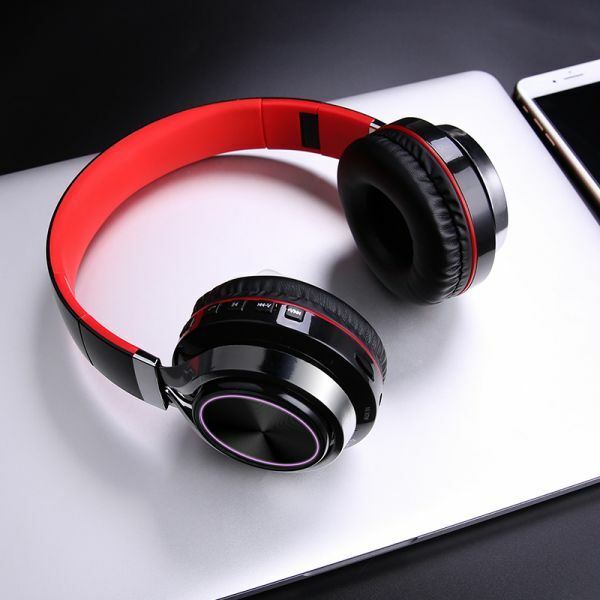 This model is highly recommendable for listen to music while traveling, relax at home or your own place etc. Most of these models are little bulky which makes it appear catchy. This model is suitable for Both call purpose and music lovers. This type of earphones has wires that can be adjustable. The earmuffs help to get audio clear and stable. This one ideal for office or public place without getting much attention compared to Stereo Earphones. Although, you can use it while exercise, the mass the neckband may distract you. The most popular Neckband Bluetooth Headsets in Saudi Arabia is Lectronic. Lectronic neck design lomina Bluetooth headset has Battery that lasts longer than 24 hours of continuous play. You can Shop online on Jihazi for Lectronic neckband Bluetooth Headset. This two pair Bluetooth enabled devices to help to keep ups with the pace of your exercise. Jogging cycling or gym whatever you do these sports headset fits your ears due to its sleek design and lightweight. Its anti sweating feature makes it is comfortable to wear during exercise. One of the best Sports Headset in Saudi Arabia is Lectronic Bluetooth Sports Earphones. Order online on Jihazi for Bluetooth Sports Earphone in Saudi Arabia for the best price. Qualcomm Quick Charge 3.0. Why our Smartphones need it? Qualcomm recently proclaimed its latest Quick Charge 3.0 technology, promising a number of enhancements over its past production fast charging technique.